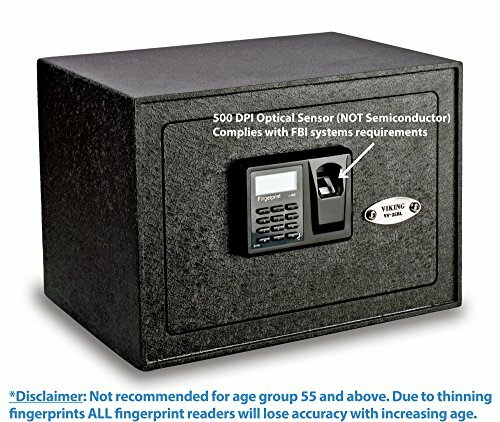 This is your last stop if you are searching for a gun safe under 1000 dollars. If you have already set your goal and budget, then now it is time look over your options and search for something that suits your needs and requirements. 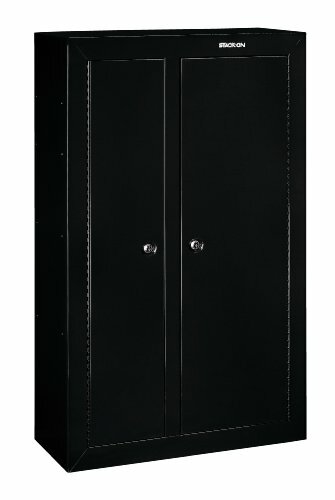 It is not really hard to find a high end gun safe at this price range, because quality comes with a price. 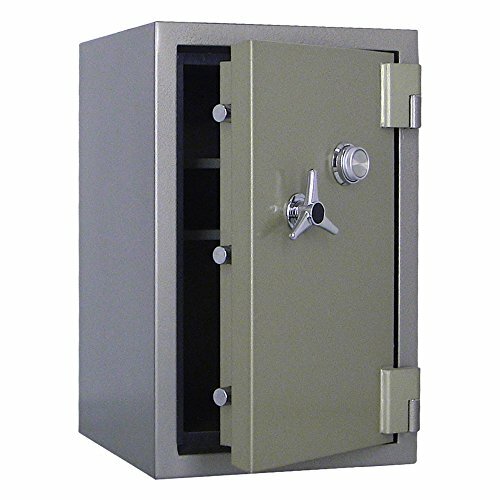 However, the problem finding a suitable model is that there are so many gun safes under the thousand dollar mark on the market, that it can turn out to be quite tricky to select the best one for your needs. Having said that, read the article below, and see if you can spot your number one pick. You’ll have every information you need, and you will be able to perfectly understand what you can expect from a 1000 dollar model. Dimensions: 59" x 22" x 16"
Our first pick is an easy pick, and this is the brilliant MBF5922E from Mesa Safe Company. 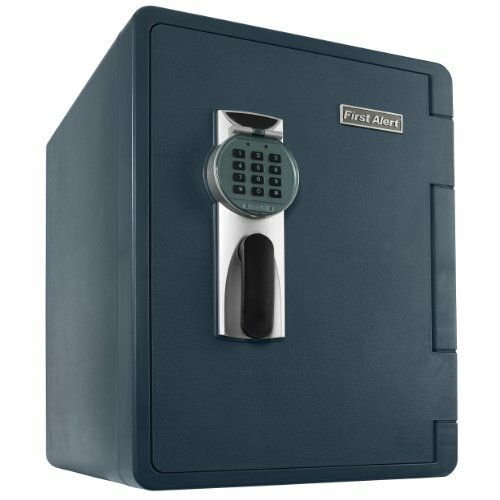 This safe is extremely sturdy and reliable and features all the security bells and whistles that you can expect from a top-rated model. The housing consists of strong 12 gauge steel construction, along with 11 gauge steel door. It comes with a durable 4-way lock mechanism, along with twelve heavy-duty 1.5-inch secure locking bolts. This unit also features an electronic lock system and a pry-resistant hard plate to improve the safety even further. This 3/16 inch thick steel plate ensures that it will be almost impossible to tamper with the lock system. For added safety, there is also a re-locker that kicks in if anyone intends to interfere with the electronic lock. Although this quality gun safe is designed to resist punch, drill and pry attacks, it is also built to protect your belongings from fire exposure for up to 1 hour at 1750 degrees Fahrenheit. Moreover, it was also tested to hold up against 3 story drop. This is one of the best brands in under $1000 category, and the whole construction has quality written all over it. Also, once you open the safe, you will see that the interior is beautifully padded with a rug to ensure that your weapons and other items are safe from scratches. You can store up to 14 long guns inside, and you can customize the storage space according to your needs by adjusting the removable shelves. There is also an outlet strip that features 2 USB ports and 3 electrical sockets for added convenience. The outlet is an excellent solution if you need a light or dehumidifier inside the safe. What’s more, this safe comes out-of-the-box with 4 pre-drilled holes, if you prefer to mount the safe to the wall or the floor for added security. Overall, it doesn’t get much better than 12 gauge steel body, with an 11-gauge steel door and an electronic lock with 4-way locking system and 12 durable steel bolts. To maximize the protection, there is a re-locker and a pry-resistant steel plate to ensure that your belongings remain safe. This is an excellent solution for anyone who is looking for an industry-leading gun safe that offers protection on a level that is hard to beat. 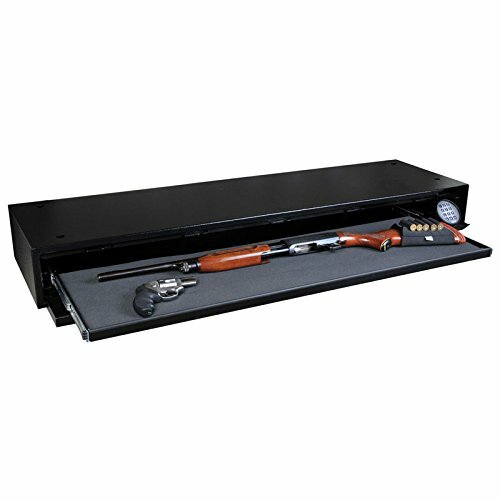 Here is another top-quality product from the Steelwater stable and you can store up to 14-16 long guns inside this safe. The interior is padded with gray carpet to protect your items from scratch. Moreover, this unit features 2 racks that you can use to store your rifles, along with four removable shelves that you can adjust according to your storage needs. It was built to withstand fire exposure up to 45 minutes at 1550 degrees Fahrenheit. The housing features a 12 gauge steel construction and a 4 3/4 inch thick door to ensure maximum safety. There are also pre-drilled anchor holes if you prefer to bolt the safe down to the concrete floor, plus there is half inch hole if you want to plug a dehumidifier or interior lights. 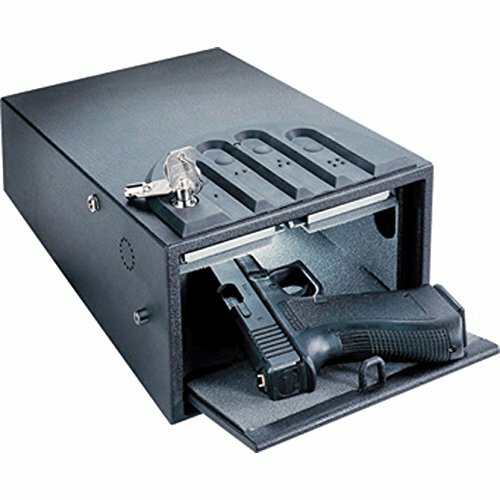 Like every quality gun safe, there is a pry-resistant thick steel plate to protect the electronic lock. If somebody tries to tamper with, or remove the electronic lock, the re-lock system takes over, and the safe will remain locked. 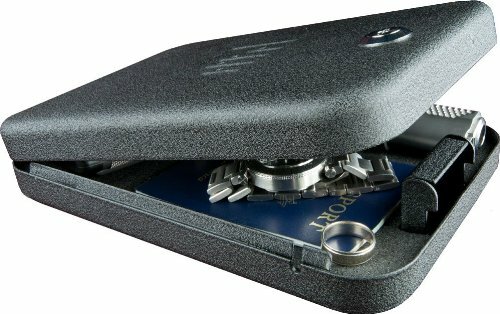 There is also a unique Steelwater security feature that includes a memory electronic lock system. This locking mechanism was invented for added protection from unauthorized individuals. Overall, this is on of the high-quality steel constructed gun safe on the market that offers excellent protection for your valuable items. It is fire and waterproof and Steelwater team offers a lifetime fire and burglary warranty, plus a 1 year warranty against defects. Here is another Steelwater candidate and this one is the smaller variation of the great AMSW592818-blk. This model can store up to 16 long guns, compared to its big brother AMSW592818-blk that offers storage space for 20 long guns. 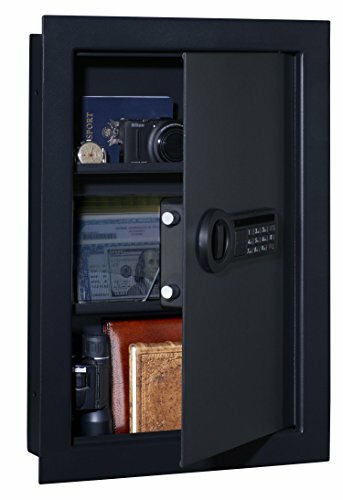 This safe is constructed of first-class steel and features a 12 gauge steel housing. One of its best security highlights is the thick steel plate that protects the lock mechanism. This drill- and pry-resistant plate, along with high-grade 1-inch steel locking bolts, ensure that no unauthorized individuals can access your items. As soon as someone tries to drill through, or tamper with the electronic lock, the re-lock system will be triggered, and the lock will immediately shut and remain locked. This is one of the safest electronic locks in the industry and is not only heavily secured with relocking activation and a drill-resistant plate, but also it is EMP proof as well. What that means is that this safe was tested using U.S. military’s highest EMP impact standard during testing. Therefore, it is basically impossible for an intruder to disable the electronic lock or damage it in a way that it will affect its functionality. On top of that, it consists of a digital keypad that you can program 3-8 different combination codes. In the unlikely event that the electronic lock stops working or you forget the digital access code, there is also a master key included, so you will never be locked out of your safe. 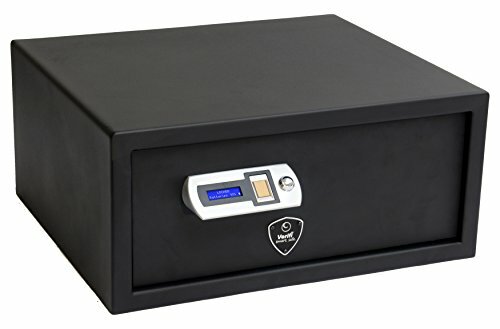 Overall, this is a world class 12-gauge steel constructed gun safe that features an industry-leading EMP Proof electronic lock with an unbreakable steel plate to protect the locking mechanism. The interior is fully carpeted and it includes 4 adjustable shelves to accommodate to your needs. On top of that, you will receive a lifetime warranty and 1 year warranty against defects from Steelwater. Next in line is the Stack-On SS22MB and this is very spacious gun safe that can store up to 22 long guns. It is built with top rated 12 gauge steel construction and 13 gauge steel door. Moreover, this unit was built to protect your valuable items against pry and drill attacks. It consists of 2-way lock mechanism and 5x 1-inch steel locking bolts. Additionally, there is a pry-resistant hard plate to protect the electronic lock from being tampered with. The keypad features operational lights and a battery level indicator, so that you can always know when it is time to change the batteries. If you forget the access code or you run out of batteries, you can use the master key to access your belongings. Although that this is not fire rated safe, It is extremely sturdy and the inset hinges are built from high-grade steel, which deters easy entry. On the inside, the interior is completely carpeted and there are 4 adjustable shelves that help you to keep your items neat and organized. Overall, this is a sturdy, 2-way locking system that features 1-inch locking bolts and up to 6 locking points. These bolts are large and durable steel bolts. Along with the sturdy steel locking bolts, the hinges are concealed and there are also hinge side steel dead bolts to optimize safety to your items inside the gun safe. At last Stack-On offers a 3 year limited warranty against defects, so you can be assure that your investment is protected. 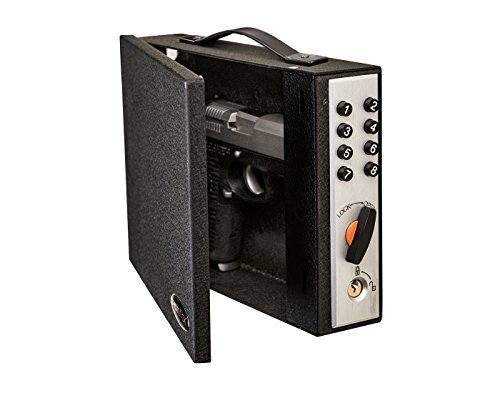 Here is a gun safe slightly above the 1000 dollar mark, but a well worthy candidate as a top-rated pick in our countdown. You can store up to 30 long guns in this safe. 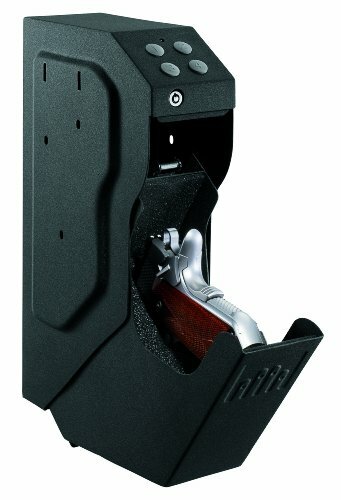 Moreover, there are 8 pockets behind the door that you can use to store your pistols as well. On top of that, there are five pockets, below the 8 handgun pockets, to store ammo or other smaller items. The interior is neatly organized with carpet that protects your items from scratches. Apart from the pockets behind the steel door, there are long shelves that you can store pistols, ammo and other valuable items. You can also adjust the storage space to suit your needs by customizing the 4 removable shelves. The Blue-Dot safe is fireproof and can withstand fire exposure up to 1 hour at 1700F. 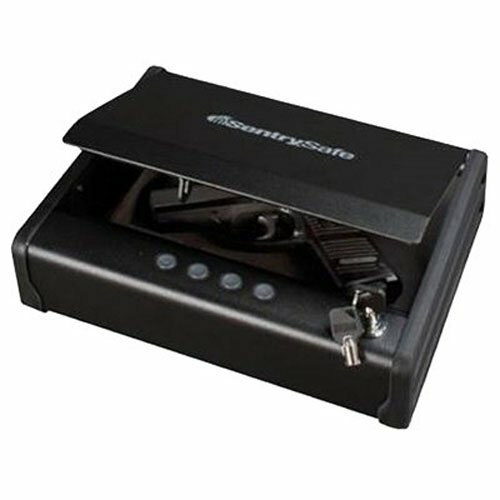 This safe is constructed from 12 gauge steel and has a built-in, pry-resistant plate that is designed to protect the electronic lock. On top of that, there is a spring-loaded re-locking mechanism that gets triggered as soon as somebody tries to pry, punch or drill-attack the lock. It features a 4-way locking system with 9 heavy duty locking bolts. Overall, this is one of the top units that you can get your hands on at this price range and most definitely an investment for the future. It is packed with all the glitz and glamor that you can think of in a gun safe. To make this a hassle free transaction, Blue-Dot offers a one year warranty against defects. As with everything in life, the golden rule is that you get what you pay for. Therefore, if we compare a cheap-end gun safe below the 200 dollar mark, and a unit that cost close to $1000, then in a perfect world, the high-end gun safe will offer more security features and protection. You can be sure that at this price range, the security features significantly improve. Furthermore, the thickness of the steel increases and you can expect an 11-14 gauge steel construction from a more expensive unit. Additionally, all the top units listed in this article feature the brilliant re-lock technology, along with a pry-resistant steel plate to protect the lock mechanism. As we mentioned earlier, gun safe under 1000 dollar will most likely include 11-14 gauge steel, along with a re-locker and the steel plate that we mentioned above. These are all extremely important security features and go a long way to protect your valuable items against theft and intruders. However, you should be aware that there is no safe in the market today that can guarantee 100% protection. Even though you invested in a million dollar vault, the safe can still be cracked open with the right tools and if the determination is there. 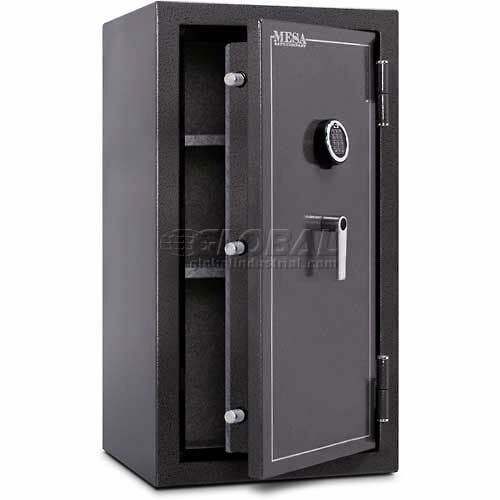 Having said that, you can minimize the risk by investing in a gun safe with 10-14 gauge steel construction. Below, are few things that you should take into account before you make your final buying decision. First of all, you need to understand your needs and figure out if your desired gun safe matches your demands. It is crucial that the gun safe that you have narrowed down on your list, suits your needs. For instance, in case you are looking for a gun safe to protect your weapons and other items from a burglary, you should opt for minimum 12 gauge steel. On the other hand, if you want to lock up your items away from children, then steel thickness is not that important. If you are looking for gun safes in the 1000 dollar range, then it is probably because you own long guns that you need to store. Therefore, it is important for you to consider the size of the safe. However, a long gun is not just a long gun because there are many different factors that determine if a gun can be categorized as a long gun. For that reason, you could run into some storage issues once you start to rack up your weapons, which mean that you must measure your guns and compare it to the height of your desired gun safe. Do not end up like many first-time gun safe buyers that end up complaining about the storage and not being able to rack up their large guns inside the safe they just bought. To avoid this, all that it takes is just a simple research, and you should be all set. Again, make sure you know the measurements of the gun safe you want to buy and make sure that you measure your long guns as well. Then go ahead and compare your results to the storage capacity of the gun safe to ensure that you end up with a safe that fits your demands. Quick and reliable access is something that many customers overlook when they are looking for the perfect gun safe unit. The most important factor here to consider is access and reliability at the same time. You need quick access to your weapons in an emergency situation, and you also need a reliable access at the same time. If you want quick access, you should consider investing in a gun safe that comes with an electronic lock. Many gun safes on the market offer dual access, in other words, a combination of electronic lock and a combination lock. These dual lock safes are extremely reliable but might take few seconds longer to access but offer the same level of protection. Needless to say, if you set your budget tight, it will be harder for you to find a quality gun safe that includes everything that you expect from a gun safe. Ending up with the best unit, that matches all your demands should not be a hard task, as long as you do your homework properly. After reading the information above, you should be well on your way to obtain your best suitable match. This article is aimed at those who are looking for the best option for under 1000 bucks. Any of the models above can fit different needs and different demands. Therefore you can be assured that all of them will deliver maximum protection and are built with quality and security in mind. The final decision is up to you, and now you have all the tools to make an informed decision and pick a gun safe that will follow you for many years to come.